An Article that appeared in the Borneo Post in 2017. We made the trip to Kuching to find this amazing spider. THE great naturalist and intrepid traveller Alfred Russel Wallace spent over eight years in Southeast Asia. During that time, he travelled over 14,000 miles and undertook over 60 journeys, often travelling alone or with one or two native guides. Being an ardent admirer of Wallace, I have always considered my knowledge of the man and his work to be more than adequate. But it was the work of a colleague on that other great naturalist Charles Darwin that made me reassess my whole perception of not only Wallace but also my own understanding of his work. Whilst working on spider specimens at the British Museum of Natural History, a fellow arachnologist, Ray Gabriel, stumbled upon a jar at the back of a cupboard. The jar was simply labelled ‘Darwin’s Spiders’. It was with great excitement that he opened the jar and peered inside. It is a fact that nowhere in any of the literature about Darwin and his travels does it mention that he collected spiders. There is the odd mention of spiders in passing but in truth Darwin passed them over with haste. This might appear puzzling, spiders are plentiful in the tropics and Darwin would have certainly encountered them on his travels, as indeed would have Wallace. As to why seemingly neither collected, or more importantly recorded them, one can only speculate. On investigation it soon becomes clear as why this might be. The early entomologists simply lumped arachnids in with insects and it is quite possible that Darwin and Wallace did collect spiders but chose not to separate them. A more plausible explanation may be that Victorians where a discerning lot when it came to filling their collecting cabinets. Bugs, butterflies and all things entomological where fine but spiders were viewed with utter disdain. From Darwin and Wallace’s point of view, there was simply no monetary gain to be had on our eight-legged friends. There is another plausible reason as to why spiders were not collected in big numbers. Spiders are in the main nocturnal and the early explorers would have found it difficult to traverse the rainforest in the dark with only oil lamps to show the way. Indeed, Wallace himself declared that he had no time to collect at night, as he was busy recording his daylight finds. What my colleague had discovered was ground-breaking. He lovingly laid out the contents and soon realised that the jar contained not only many specimens of spider but also a pair of fangs that obviously belonged to a tarantula. (Downward facing!) He had, in one afternoon, proved that not only did Darwin collect spiders but also tarantulas. It was a pivotal moment. He published his work in ‘The Journal of the British Tarantula Society’ (Volume 24 No. 3 pp 90-93) and it was on reading his article that I resolved to prove a similar ‘modus operandi’ for Wallace. In the world of evolutionary science, there is much rivalry between the Darwinians and the Wallacites and, albeit friendly, it nevertheless exists. The story of Darwin and Wallace’s ‘joint’ theory of Evolution by Natural Selection is well documented and here is not the place to discuss it further. What is well known and documented is that Wallace was a collector extraordinaire when it came to insects and whilst his numbers of collected mammals were much less, they were nonetheless equally as impressive. Over the eight years that he spent exploring the Malay Archipelago, he collected over 110,000 specimens of insects, 7,500 shells, 8,050 bird-skins, 410 mammal and reptile specimens, and numerous specimens of plants and ferns. Of these he kept 3,000 bird-skins plus at least 20,000 beetles and butterflies, as well as some vertebrates and land-shells, for his own private collection. It is easy in today’s modern world to view such numbers as excessive and perhaps unwarranted, but we must be careful not to apply our 21st century morals on a 19th century mindset. Collectors in those early days needed to fund their research and this was a lucrative way of financing one’s work. There were no TV companies with open chequebooks standing behind them. My mind was made up. I would search the available documentation and literature to see if I could find whether Wallace had collected spiders as indeed Darwin had. My first port of call was Wallace’s own masterpiece ‘The Malay Archipelago’. He makes brief mention of “bird eating spiders” but also makes it clear that he has no time for these “monsters”. Wallace was a meticulous collector and kept detailed notes, many of which survive. I began with Wallace’s letters and correspondences, all well documented on the excellent Wallace On Line Project (http://wallace-online.org/) and, after some searching, I found the following reference in a letter from Octavius Pickard Cambridge addressed to Wallace’s daughter Violet. In it, he states that her father was looking at his collection when he chanced upon a spider and exclaimed, “Why it is my old Sarawak spider,” and that he remembered collecting it “as if it were yesterday”. So it would seem that a spider was collected in Sarawak, but when and more importantly from where? I scoured the notebooks that now reside in the Natural History Museum. The records clearly show that Wallace was in Sarawak from November 1854 to January 1856, and during that time he spent his time as a guest of the Rajah James Brooke at his residence at Santubong, collecting at the mines at Simunjan, and scouring the slopes of Gunung Serambu near the gold mining town of Bau. He recorded each collected specimen on the pages of the now browning books in his own handwriting. Yet there was still no record of the spider. One can only assume that Wallace, like Darwin, did not record the collection of the spider for one or two reasons. Either he felt it unworthy of recording due to its lack of resale value, or he did not know enough about spiders to hazard a guess to its genus, and without such information it would be pointless. He would certainly have known it was a spider but the question is would he have had any interest in it? The notebook, whilst of great interest, was a dead end. After more research, I managed to find a copy of the very short paper ‘On some new and little-known spiders (Araneidae)’ Proc Zool Soc Lond 1896, pp 1,006-1,012 by Octavius Pickard Cambridge. 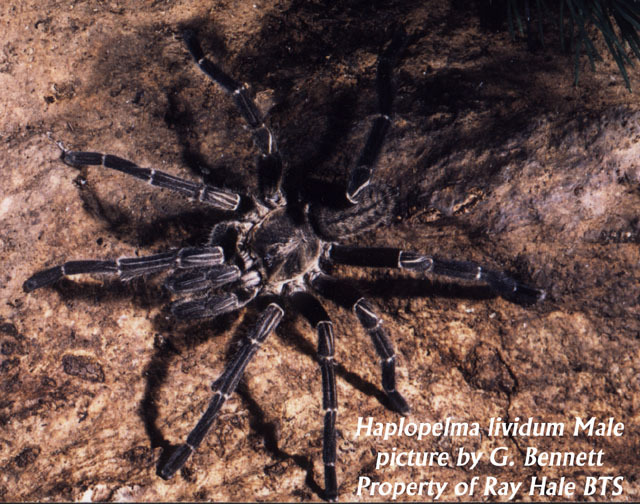 The spider is described as Friula wallacii and is accompanied by a number of excellent line drawings. I had now found my quarry, but where might I find the type specimen today? I now knew that Wallace had collected a spider, when it had been collected, and where from within a few miles. I needed now to find the type specimen. This would be more difficult. Wallace had been in Sarawak for 15 months before moving on to Aru, from here his shipments were all carefully logged and sent to England to Samuel Stevens, Wallace’s agent responsible for the resale of the items. The meticulous logs show that of many shipments sent from Sarawak, Stevens had sold one such shipment to William Wilson Saunders – a keen entomologist and president of the Entomological Society. Saunders later fell on hard times and sold his entire collection to Pickard Cambridge. Pickard Cambridge was a keen arachnologist and seeing a spider within the collection described it as Friulla wallacii. Ironically, he had no idea that the spider was one of Wallace’s when he described it. On Cambridge’s death, his entire collection was donated to the Oxford Museum of Natural History. It was here that the type specimen had lain deep within the museum’s vaults. I contacted my colleague at the museum in Oxford. Again ironically, it was the same person who had discovered Darwin’s spider, and after searching the records, he supplied me with images of the original type. I had found the type and had managed to prove that Wallace did indeed collect spiders. Now all I had to do was find a live specimen in Sarawak. That might prove difficult but the flight was already booked. 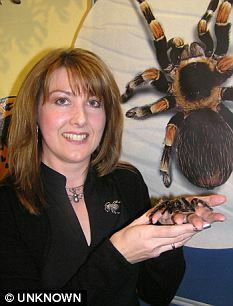 This column included contributions from my wife Angela, who is also an arachnid specialist. 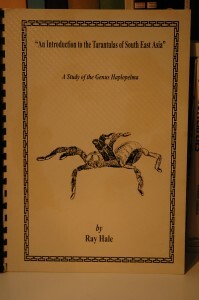 Ray Hale: An Introduction to the Tarantulas of South East Asia. “This publication was officially launched in 1998 and a word of congratulations is sent to its author, Ray Hale. This study was originally, intended to be published through the BTS Research Group but, after three years work, it warranted a separate publication. 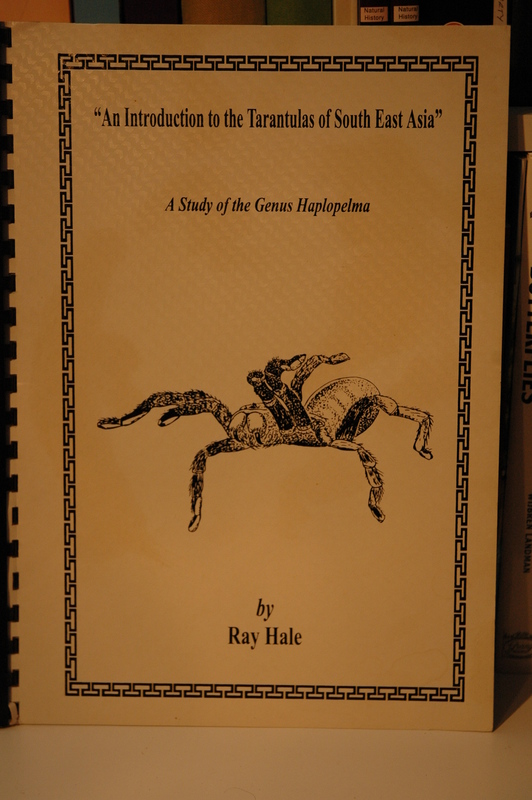 This book is an ideal introduction into the magnificent tarantulas of South East Asia, concentrating on the genus Haplopelma. Beginning with a species generic breakdown and progressing through characteristics and distribution (with specific native habitat descriptions). 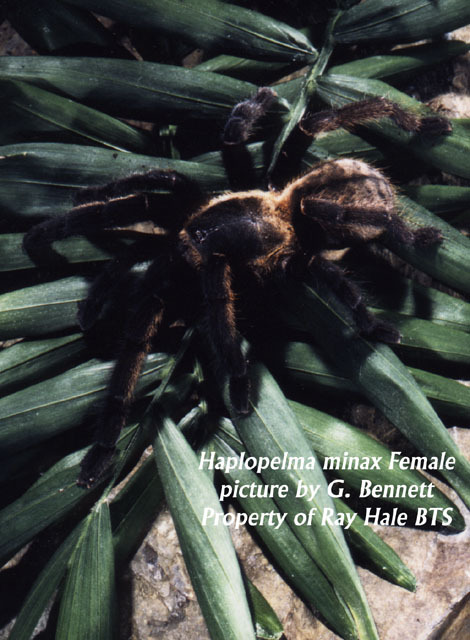 Detailed accounts of Haplopelma spp. in captivity are listed, as are descriptions of successful pairings between the most commonly kept Asian terrestrial tarantulas. Taxonomic descriptions of individual specimens are included accompanied by clear illustrations. A4 spiral bound, 50 pages, coated board covers. Autumn is the season the arachnophobic dreads – and this one is set to be worse than most. For Britain’s homes and gardens are facing an invasion of spiders. ‘The warm spring brought an influx of pollen, so that encourages an influx of insects and crane flies and all the rest of the feeding chain,’ said Angela Hale, a spider expert at Drusillas Animal Park in Alfriston, East Sussex. The apparent growth of the spider population in autumn comes about as falling temperatures drive them indoors in search of warmth. Once inside they seek out dark corners and often settle dow n underneath floorboards. 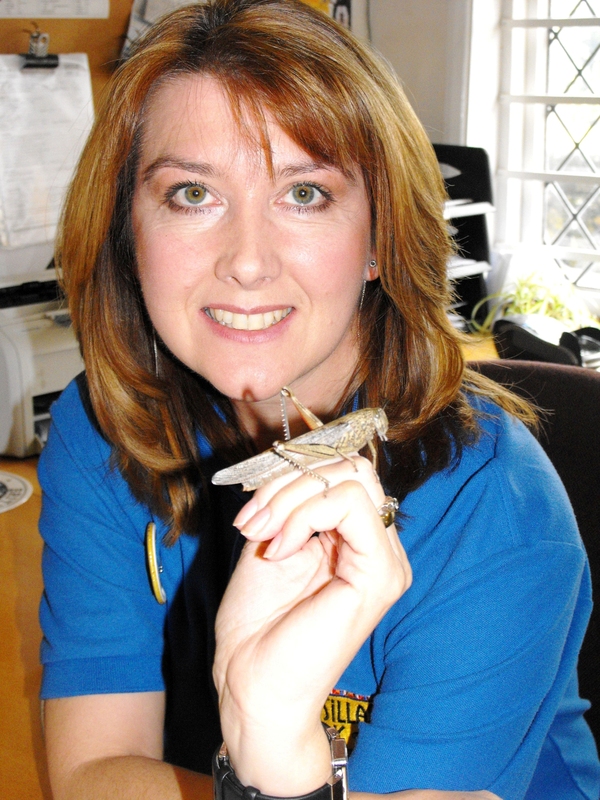 Ms Hale, who is also secretary of the British Tarantula Society, added: ‘If we didn’t have spiders we’d be inundated with all the flies and others things they eat for us. Fear of spiders is one of Britain’s most common phobias – despite the fact that no native species is harmful to humans. All spiders are armed with poison to stun or kill prey but most of the 650 British species are unable to pierce human skin. And Alan Stubbs of the charity Buglife said the influx of spiders was something we should welcome. ‘Leave them alone and they’ll catch flies and be happy just doing their own thing,’ said Mr Stubbs. foreigner with a suitable home. On closer inspection Angela confirmed that the insect was an Egyptian grasshopper, easily identified due to the vertical striped pattern of their eyes. The size and shape of the shield that protects their head is also unlike other species. In the wild, Egyptian grasshoppers are found on various plants, trees and shrubs throughout southern Europe, where they are relatively common. They prefer warm, dry areas and feed on a variety of leaves. Measuring approximately 6.5cm the grasshopper was almost certainly a female, as males are slightly smaller at around 3.5cm in length. 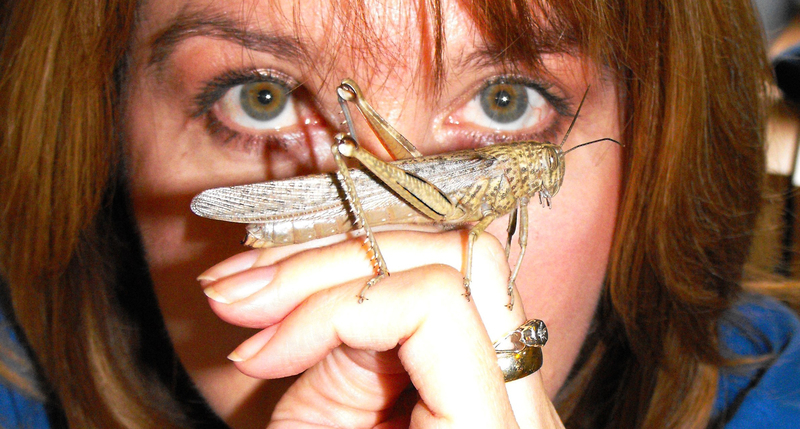 The grasshopper was fully grown displaying adult colouration, which is generally grey or brown providing excellent camouflage when against tree bark. It also had fully developed wings; these insects are able to fly as well as use their strong back legs to jump. At rest, the wings fold along the body.